That’s right, FREE CARPET CLEANING! CitruSolution will email you an “EXACT-imate” when you schedule you appointment with us to have your carpets, rugs and/or upholstery cleaned. Your EXACT-imate will reflect what you have told us you want cleaned and the prices involved. They are called EXACT-imates because there are NO UP-SELLS! NO ADD-ONS! and NO HIDDEN FEES or FINE PRINT! There is a 3% charge if you use a credit/debit card. CitruSolution Carpet Cleaning of Suwanee, Buford, Sugar Hill and Dacula, Georgia. If you are asked to pay more than your emailed EXACT-imate your entire job is on us! If you are asked for money, it’s on me! Your EXACT-imate will be emailed to you prior to your appointment time detailing the number of areas (rooms, halls & stairways) with the EXACT amount you will be charged if you pay by check or cash. If you have the number of areas changes, the EXACT-imate does too. Call, or submit your info today! 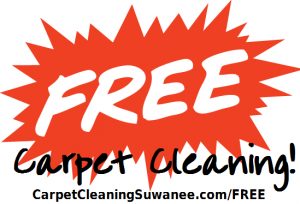 We offer both residential, and commercial carpet and rug cleaning in Gwinnett County, Hall County, Forsyth County and Barrow County. NO UP-SELLS, NO ADD ONS! Call for an EXACT-imate NOW! 2004- 2018 CitruSolution Carpet Cleaning of Suwanee, Buford, Dacula & Hamilton Mill, GA © All rights reserved.